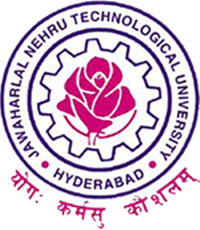 Sub: JNTUH – Exam Branch – M.Tech, M.Pharm, MBA & MCA Courses – Fee payment details and Procedure for Evaluation of Project (Viva-Voce Exam) August-2017. – Reg. In connection with the conduct of Project Viva-Voce Examinations in the academic year (2016-17) for R13 and R09 regulations, M.Tech/M.Pharm/MBA Supply and MCA Regular/Supply students. 2. The students can submit their Project to the college after completion of the duration of the project work. The last date for submission of projects in their respective colleges is on or before 11.08.2017, for this phase. 4. No penalty may be levied to the student if a student submits project within one calendar year after completion of penultimate semester (6 months from the last semester). If the student is unable to submit the project within one calendar year, a penalty of Rs.5000/- will be levied for the first year of late submission,Rs.12000/- will be levied during second year of submission and Rs.18000/- will be levied during third year of submission, to the University. If special permission is granted by the University to a student for submission of project beyond three years limit, a penalty of Rs.10,000 per year additionally will be levied to the student. 5. The students need not submit the P.C application along with Viva-voce grades. The P.C fee has to be paid along with the project viva-voce examination fee (If already paid the P.C fee along with final semester exam fee, need not pay now). NOTE: The Project Viva-Voce examinations notification for the M.Tech/M.Pharm/MBA courses of R15 regulations regular students will be issued shortly.